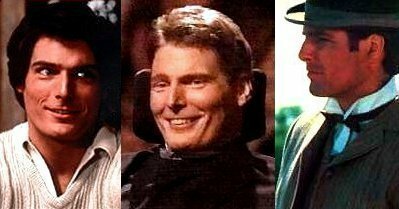 Your one-stop on-line shop for Christopher Reeve related Books, Audio CDs and Cassettes, Videos and DVDs. Christopher Reeve redefined courage and hope. His strength, determination, and compassion inspired the world. He is our hero. Today, the Christopher Reeve Paralysis Foundation proudly introduces the Christopher Reeve Foundation Superman Tag. This special offer is your opportunity to pay personal tribute to Christopher Reeve's incredible legacy. By wearing the Superman Tag, you will help assure that Christopher's vision will Go Forward. Each order comes with one 24-inch chain and one clip, along with two Christopher Reeve Foundation Superman Tags. So, the Superman Tags can be worn around the neck, or clipped onto gear, sports equipment, purses, or book bags. All proceeds from the sale of the Superman Tags go to the Christopher Reeve Paralysis Foundation. Please purchase the Superman Tag to show your support of Christopher Reeve's vision and the mission of his Foundation. For more information on the Christopher Reeve Paralysis Foundation visit www.ChristopherReeve.org. The (unofficial) Christopher Reeve Homepage in association with Amazon.com Books is pleased to bring you the Christopher Reeve On-line Book & Video Shop! Buying books relating to Chris has never been easier! 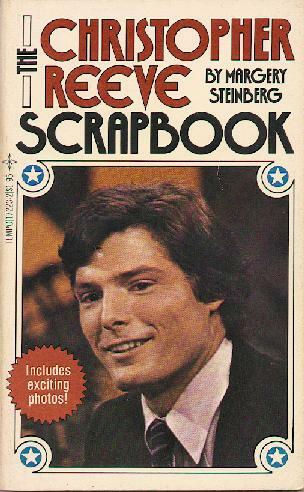 This is a selected listing of books and other material relating to Christopher Reeve. Most of these books are available for you to buy either on-line using secure transaction measures, or off-line using traditional methods of payment. Items whose titles are highlighted as a link are available for purchase. Just click on the title of the item you wish to buy. Please note that the books whose titles are highlighted (e.g. Links) are available for purchase. Just click on the title to find the latest price and to place your order. A biography of the star of four "Superman" films, whose dramatic career was cut short by a fractured spinal cord when he fell off a horse in 1995. Unable to move an inch, a hero to millions around the world, actor/director/activist Chris Reeve looks at his life with a mind as creative as ever, a vivid sense of humor and a spirit enhanced by the ordeal that became his life when he was injured in a riding competition in 1995. Moving, gripping, often funny, this work is a unique testament to the human spirit. Sometimes heartbreaking, often uplifting, always compelling, Somewhere in Heaven is more than just a portrait of a marriage. It is the profoundly human story of two souls whose brief lives made a difference, a bittersweet saga of tragedy, triumph, and loss, and--above all else--a love story for the ages. Fatal Vision by Joe McGinniss (with narration by Christopher Reeve). Review: Animated cable special that stars the voices of Christopher Reeve, Lainie Kazan and Fred Gwynne in an entertaining cartoon about keeping the environment clean. Starring: Christopher Reeve, Rosanna Arquette, et al. Rated: R - Not for sale to persons under age 18. HBO Making Of Featurette - "The Remains of the Day: The Filmmakers' Journey" & "Blind Loyalty, Hollow Honor: England's Fatal Flaw"
Release Date: May 1, 2001. If you can't find the item you're looking for, then enter the title, author, ISBN or Keyword(s) into the Search Engine below, to search through the millions of items available through Amazon.com. "Christopher Reeve Returns to Mackinac Island".